No more waxing, shaving or endlessly plucking unwanted hair! Laser hair reduction is a noninvasive, safe, effective way to permanently reduce and remove unwanted body and facial hair. This is not your mother’s hair removal system. Today’s advanced laser hair removal technologies provide effective hair removal in areas such as the face, arms, legs, bikini and underarm zones. By targeting the natural melanin pigments within the hair follicle, a specially designed laser sends a pulse of light down to the root of the hair. This disrupts the hair follicle growth cycle, causing it to die and fall out. 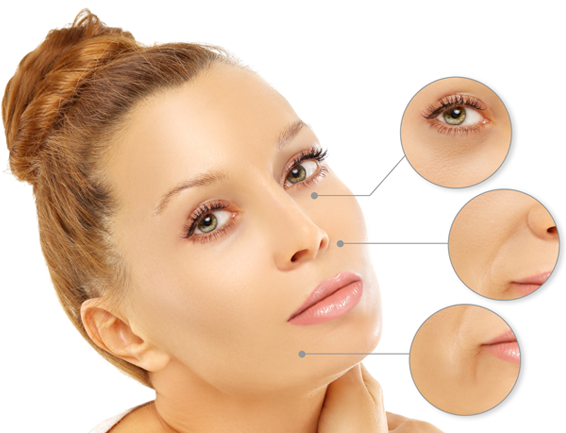 Please note: this treatment requires multiple treatments space 6-8 weeks apart, (the marked melanin is only readily available during a portion of the hair growth cycle), laser treatments offer permanent hair reduction after only a few visits; laser hair removal is safe and effective for all skin types. Laser hair removal is a sophisticated system that harnesses the power of light pulses to reduce unwanted hair. The light damages the hair follicle, interfering with the hair’s ability to regrow. Anyone who wishes to greatly reduce the appearance of unwanted body hair is a good candidate. Whether you are a man plagued by unsightly back hair, or a woman who is fed up with constantly plucking, waxing or shaving, laser hair removal may be right for you. Are there any limitations on what laser hair removal can achieve? You should understand that results can vary and that it may take several treatments to remove the unwanted hair. Skin and hair pigmentation can be a factor, however newer lasers are more effective, providing more and more patients with safe, effective unwanted hair removal and reduction. Does laser hair removal require anesthesia? Hair removal does not require anesthesia; however, some patients do opt for a topical anesthetic. Rest assured, at Montana Center for Facial Plastic Surgery, we know how to keep you comfortable while providing relief from your unwanted hair. The laser hair removal process time naturally varies due to the fact that some people have more body hair than others. Sessions are usually brief and we always work to ensure as little interruption to your schedule as possible. Is there much pain during the procedure? We offer the use of a topical anesthetic to minimize the discomfort during laser hair removal. What can I expect for the recovery after laser hair removal? Laser hair removal is so effective and simple that it requires virtually no downtime. You can return to your normal activities right away. You should be aware that it is important to limit your sun exposure for a few days. Is it necessary to take time off from work after laser hair removal? No. Most patients can return to work immediately. In most cases you can literally have the procedure done, and return to work in the very same day. Although laser hair removal is a medical treatment, and as such carries some degree of risk, the procedure is overall considered quite safe, with minimal risk for side effects such as swelling, redness and skin damage. Dr. Hayes, a board certified plastic surgeon, will be happy to discuss all facets of laser hair removal so you can make an informed decision. Is laser hair removal ever covered by insurance? Insurance does not usually cover laser hair removal procedures however, we pride ourselves on providing effective, affordable care. If you are looking for outstanding, laser hair removal or any other cosmetic procedure in the Missoula Montana area, are caring, highly-trained staff is ready to help. Call us today at (406) 549-5777 or contact us online. 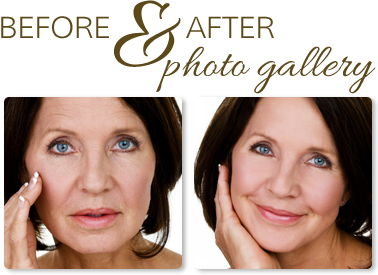 At Montana Center for Plastic Surgery, we are changing lives for the better, one face at a time.